I've been wanting to visit the Dockery Lake trail for some time now. It's not very far away from my house and since it's in the Woody Gap area, I knew I would love the scenery. So one Sunday when I didn't have a vast amount of time to hike, I decided to head up there with a friend. YES, sometimes I actually hike with other people! She was driving from Atlanta and I didn't want to ask her to get up at the crack of dawn, but I had things to do later in the day. So we figured the Dockery Lake trail would be the right combination of location and trail length for us to get done in just a few hours. The timing ended up perfect. More on that later. The Dockery Lake trail begins near the namesake campground off of Highway 60 north of Dahlonega. Signage is clear and you'll find the entrance just south of the Chestatee Overlook and Woody Gap parking area. The entrance road is gravel but was probably the smoothest gravel road I've driven on, so any vehicle should be able to make it without any problems. You'll first come upon the campground and a pay station. I'm a little unclear if day use hikers actually have to pay, but we did and I have no problem supporting our great local recreation areas. It's only $8 to camp overnight, so this is a great option if you're looking for an established campground near Woody Gap. Continue driving past the pay station and you'll reach a parking lot for day hikers. There's also a bathroom in this area. The Dockery Lake Trail begins right here with a sign indicating such. The trail starts off near the lake before winding into the woods. I've been told there is a waterfall somewhere slightly off-trail, but we did not have time to explore this further. I also try to avoid going off trail too much for safety reasons and because it is damaging to the environment. The hike goes along the stream for a while and you can definitely hear rushing water, so perhaps there is a waterfall somewhere down there. The trail then climbs elevation a little to reveal mountain views through the trees. We caught some decent sights of the mountains, but in winter the view would be less obstructed. Again, that's why I like to hike the same trails in different seasons. The trail then descends back down to the creek and crosses the creek several times. It's a very small, shallow creek, so there's really no worry of getting your shoes wet. It's a very lush, green area and I swear, the moss was greener than anywhere I've ever been (except maybe Raven Cliffs). It was also a relatively overcast day, which makes the greenery stand out. My friend and I both felt we were in a fairytale story while hiking through the valley. The tiny stream, towering trees, and green moss seemed like a perfect spot for woodland creatures. After traversing the creek valley, the trail begins to climb up consistently and ultimate reaches a juncture with the Appalachian Trail. This stretch is a pretty good workout, as you gain a decent amount of elevation over about 1.5 miles. 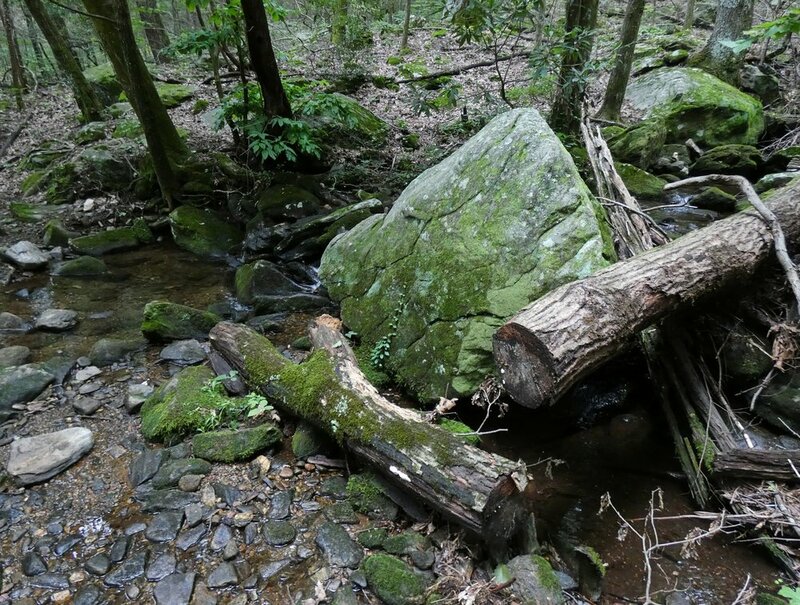 If you have time and energy, you can take a left at the AT and hike to Preacher's Rock or all the way to Woody Gap. We didn't have time for this, although I would have liked to show my friend the view from Preacher's Rock. I believe hiking from the intersection to Preacher's Rock would add about 2 miles. 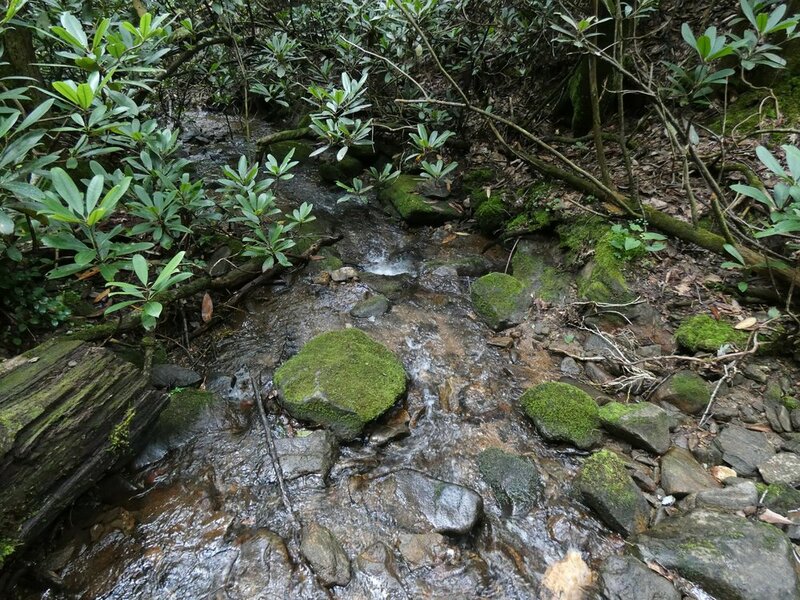 What I would really love is a connecting trail from the Woody Gap parking lot to Dockery Lake, so you could have a nice loop trail featuring all the sights in this beautiful area. After we hiked back down to Dockery Lake, we walked the loop trail that goes around the lake and passes by the campsites. This was a good way to cool off and enjoy the view of the lake. Dockery Lake is small but seems good for fishing. All the campsites are right along the lake/trail, so there's not a lot of privacy but in general, the area seemed very quiet and peaceful. It was good we didn't take the extra time to hike to Preacher's Rock because a huge thunderstorm popped up right after we got back to the car. We drove up to the Chestatee Overlook and took some pictures there and drops were starting to fall. Shortly thereafter, it was a full blown monsoon and rained all the way back into Dahlonega. That was a fun drive back down the mountain! But I was grateful we were in the car and not on the trail. Timing is everything!